Annette is an a-line wedding gown in deluxe satin and silk organza. 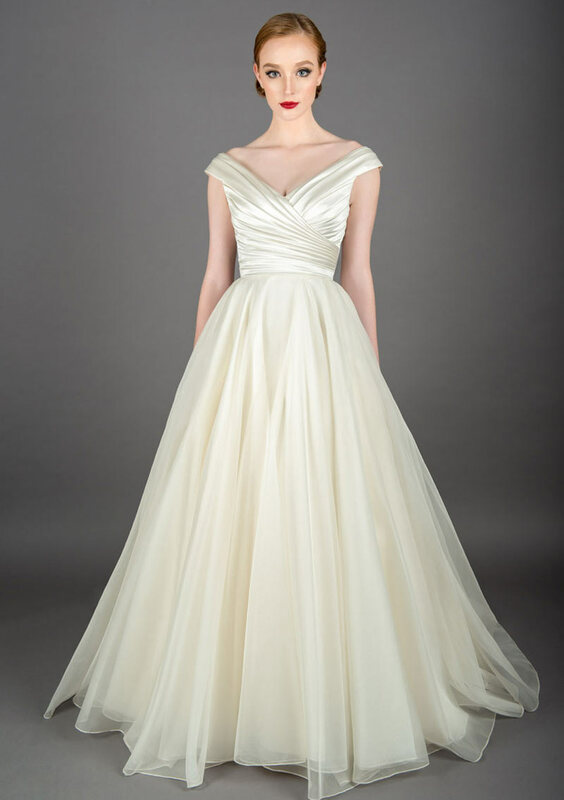 It has a beautifully pleated bodice with an off the shoulder neck line, full flowing skirt and soft train. The asymmetrical pleats on this classic wedding dress highlights the waist. A beautiful satin bodice with off the shoulder straps. This elegant bridal gown has a v back and full voluminous train. This Lou Lou bridal gown is beautiful in its simplicity.